The Well Marked Low has strengthened the easterlies over Southern Peninsula paving way for the revival of Northeast Monsoon actively over Tamil Nadu. North Tamil Nadu saw heavy mid week rains through the Low in Bay of Bengal. 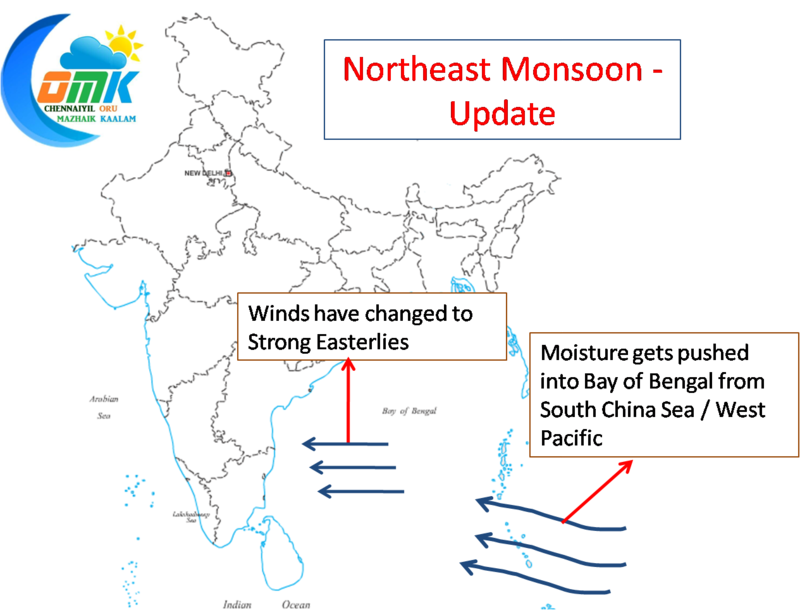 With the revival of Northeast Monsoon, Peninsular India especially over east coast, would start receiving regular rains during late nights / early mornings. The rains would not be as wide spread and heavy as the midweek rains. This is courtesy the regular moisture which gets pushed in from South China Sea and Western Pacific.